I always used to love the little insert catalogs that came with boxed vehicles and other items. In those pre-internet days, they were some of the only pictures you had to know what was coming up in a line. 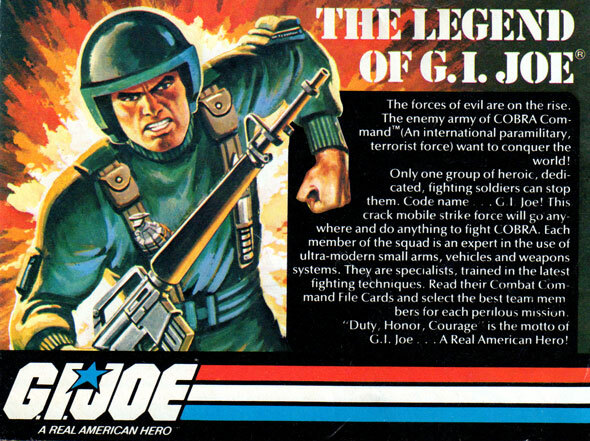 One of my favorites is this original GI Joe insert from the start of the line. Unlike the small stapled Star Wars catalogs, this one is a simple fold out. It’s a bit bigger in size than the Star Wars ones, though. The inside has a full page talking about the Flag point system for special offers, and how many points came with each of the items. 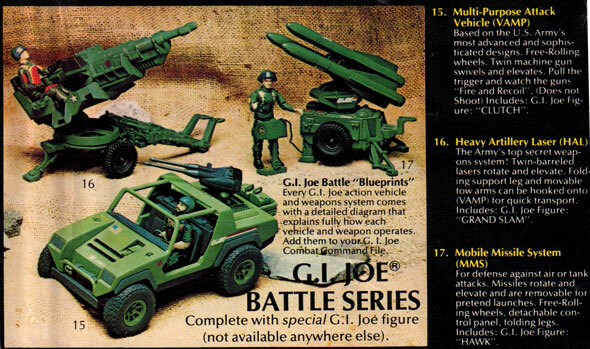 The main portion of the flyer is pictures of the vehicles and figures. Being this is the start of the line Cobra is represented only by a small picture of the Cobra Trooper and Cobra Officer. I would imagine these are prototype or preproduction versions of the Joes. The visors on the figures are black instead of clear and Flash and Breaker are missing the cords that connect to their backpacks. It is really amazing when you look at how many parts are reused in all of these figures. The vehicles are are a pretty basic assortment. While I had the VAMP, I never had either of the other things than hooked up to it. I suspect it was because there was nothing for that big laser to shoot at. 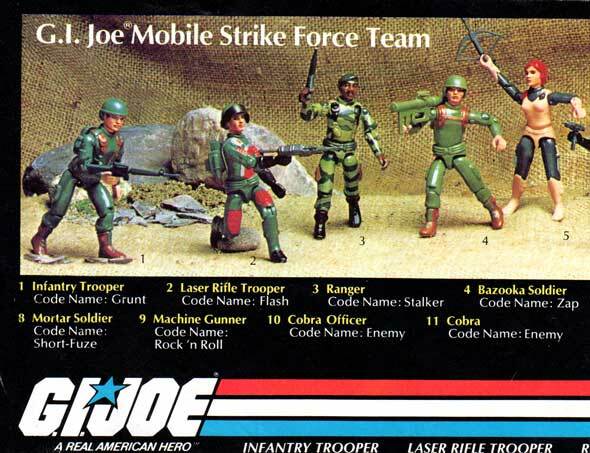 Looking back at this flyer brings back some good memories of straight armed Joes for me. For a such a small start, it is really neat to see this line is still thriving today.